Mozilla release Firefox 4 March 22nd, 2011. It was available in beta and RC testing before this date, but it looks like it is now released as a regular stable standard version. 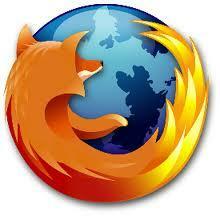 If you are a fan of Firefox you might want to check it out. It comes with a number of new features and boasts some pretty impressive speed enhancements. I have yet to upgrade to Firefox 4 as I generally like to wait a while after a new major version release so some of the addon/plugin developers can update them to work with the new version. Many have already because they have known about this new version for a long time. Coincidently this new Firefox version was released within days of Microsoft making their new Internet Explorer 9 available as a regular release version. It seems Microsoft's Internet Explorer and Mozilla's Firefox will continue being locked in competition for some time yet! If you haven't heard or noticed the new Internet Explorer 9 or Firefox 4 yet check them out if or when you get a chance.